Blockchain could provide the flexibility needed for the electricity network of the future. Blockchain is frequently touted as the cure for all of humanity's problems, and it certainly conjures images of a positive future -- from safeguarding legal firms to revolutionising the music industry. No longer just the technology buzzword du jour, the early hype and initial unviable offerings have mostly gone, with blockchain now making a palpable imprint on a variety of sectors. Of course, the most famous use case for blockchain is cryptocurrencies, but its impact has since grown exponentially, moderninsing everything from large enterprises in global supply chains to the birth, wedding, and death certificates of everyday citizens. Undoubtedly, this technology is not going away. However, this presents a pertinent issue for utilities and power producers: blockchain technology is highly energy-intensive, as it uses copious amounts of electricity. This is most alarming considering its aforementioned integral role to cryptocurrencies, such as bitcoin and ethereum. Bitcoin mining alone consumes more electricity a year than Ireland and uses as much CO2 a year as 1m transatlantic flights. The increasing use of cryptocurrencies shows no sign of abating, but providing the power infrastructure to support this growth is no mean feat. It can be hard to imagine adding capacity to the grid swiftly enough to keep up. Fortunately, however, blockchain itself might provide the solution by bringing the flexibility upon which the electricity network of the future will be built. Tomorrow’s flexible power system will see low-carbon energy produced at scale -- not only by large utilities, but also by renewable sources belonging to individuals. A new world of IoT-enabled devices and sensors will subsequently measure in real-time who needs how much energy. With the support of battery technology, this can enable a genuinely efficient market that’s devoid of waste, ensuring that everyone gets precisely what they require from electricity in a completely cost-effective manner. At the same time, the possibility of realising this future depends entirely on four linking trends: decarbonisation, digitisation, decentralisation and electrification. Uniquely, blockchain can help them achieve maximum impact. Let’s begin with decarbonisation: this entails the replacement of carbon-intensive fossil fuel generation with renewable energy. Crucially, this won’t be achieved solely with sizable wind and solar farms. Instead, these installations will be enhanced by small-scale local generation, powered by communities, businesses, and even individual households. Inherently, this is a decentralised structure, so this means switching from a world of passive energy consumers to a brave new one replete with ‘prosumers’ -- not only buying energy, but selling it back to the grid as well. Importantly, this will involve several complicated contractual arrangements -- and this is where blockchain comes in. In cryptocurrency, the technology enables a lasting record of all transactions, illuminating precisely who owns which cryptocoin through decentralised technology. When it comes to energy, blockchain creates peer-to-peer transactions; this means that customers won’t just pay the utilities for power, but utilities will also pay prosumers. Moreover, prosumers will pay each other. The whole process of the transaction -- including contracts, billing and payment -- can take place on blockchain in the blink of an eye. Inevitably, this is a vital step towards a flexible system that truly harnesses all available energy. Blockchain is also integral to facilitating the digitisation of the power sector. Accurately predicting the supply and demand of electricity isn’t feasible through the application of sensors alone. Instead, the swathes of data they produce must be analysed and decisions calculated in real-time. It should be no surprise that this is far too much for a traditional centralised database. Here, once again, blockchain can help. At its core, the technology provides a method for aggregating and storing data from countless distributed sources. Additionally, blockchain-enabled platforms enable individuals to bring predictive analytics; this means that power flows from those producing a surplus to those in need, all of which without requiring any human supervision. Finally, we must consider electrification. The terms connotes the role of batteries and energy storage technologies in supporting the management of supply and demand by charging when surplus power is available. This is ready to be spent when there is a consequent shortfall, and it also facilitates the decarbonisation of transport through electric vehicles. By using these two technologies together, with electricity being stored and distributed for use in a flexible and efficient way, power producers can ultimately bring forth less energy that still meets the needs of consumers, and in an economically-friendly way. Undoubtedly, a sustainable technology-first future is within reach. It just needs blockchain to be built into software solutions across the full length of the electricity value chain. Still, while people recognise and are excited by the technology’s potential, the energy sector is not quite there yet. Firstly, a regulatory landscape must be established that supports this type of development -- crucially, one that recognises the role blockchain could have in reducing, rather than exacerbating, demand for power on the grid and easing the burden of building new capacity. By doing this, it becomes more seamless to innovate, as long as the funding for the research and development is in place to power a flexible future. However, it’s hardly just about the technology itself; one of the most pivotal factors is education. Above all, the biggest hurdle to overcome in order to integrate blockchain into the system is a scarcity of understanding. On the one hand, everyday individuals and power professionals alike are more conscious than ever of cybersecurity issues; what’s more, each new solution is subject to scrutiny, irrespective of how innocuous it may seem. 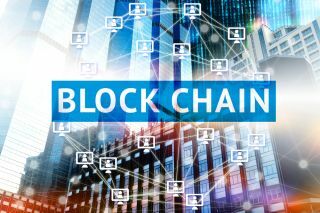 On the other, a plethora of CIOs and IT managers remain unsure of how best to integrate blockchain into their existing platforms. As such, power companies should endeavour to educate their employees on these issues. For this purpose, there are a number of training courses available. Beyond this, events such as Electrify Europe provide a platform for professionals across the entire electricity value network to coalesce and share ideas. Together, power producers and sensor manufacturers can exchange ideas based on their own individual experiences with the most contemporary of technologies. By uniting, they can decide how best to realise blockchain’s full potential and conjure a forward-thinking flexible future. This way, the electricity sector can solve not only its crypto conundrum, but also sustainably scale to support society as its requirements continue to evolve. This year’s Electrify Europe conference will be held in Vienna between 19-21 June 2018.